You and your products are at the cutting edge – innovative, pioneering and new. So are our finance solutions. For nearly 22 years we have specialised in financing technology projects of all shapes and sizes. Remember we finance orders from as little as £1,000 up to large, multi-million pound projects for UK organisations and, often, their overseas sites too. Over that time we have built the largest, specialist funding panel in the UK with over two thirds of our 45 banking partners not accessible directly by your customers. With their support, we can bundle all the costs involved (hardware, software, support and services) into one low, fixed amount every month meaning your clients can benefit from the very latest equipment and solutions, both now and in the future. Don’t forget 100% software projects are a speciality for us – from one year license renewals through to agreements spanning 3-5 years. Larger projects often benefit from our residual value (RV) product which keeps repayments really low and offers lots of flexibility to the client at the end of the agreement. 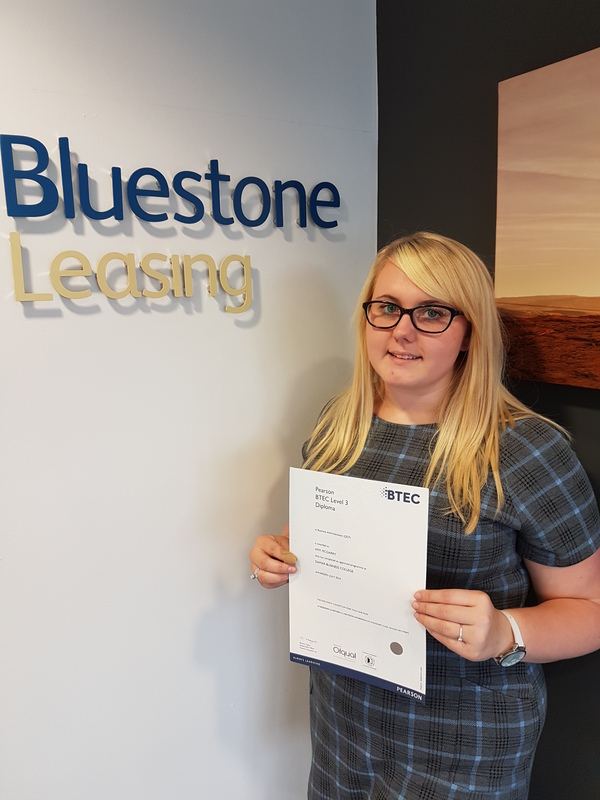 Amy McGarry is one of three employees at Bluestone Leasing undertaking an apprenticeship with Damar Training. Having just completed her level three BTec diploma in business administration Amy took some time out of her work and studies to tell us about her course and why she chose to study alongside working. 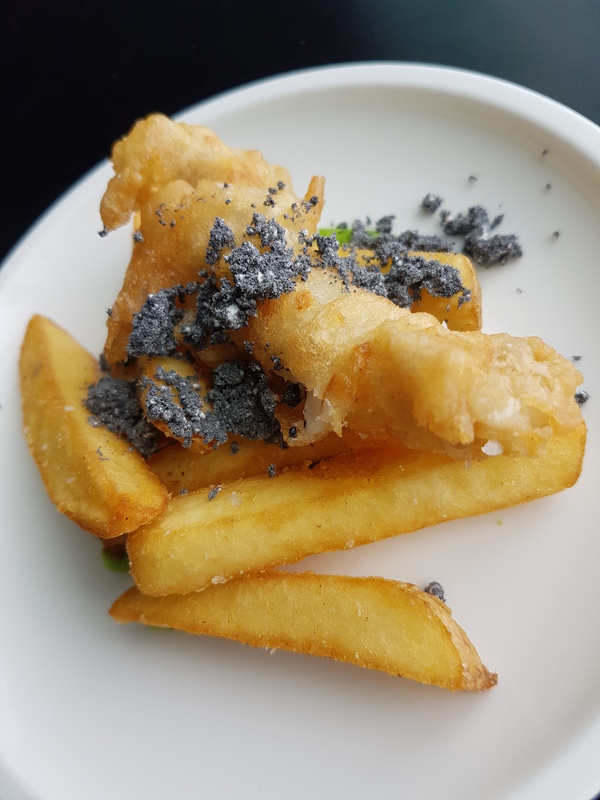 “This course involved 13 modules made up of four written exams and nine pieces of coursework as well as on the job observations and discussions between course tutors and my colleagues here at Bluestone. I was also required to create a portfolio of work undertaken in the office with annotations on the changes I made to processes and documents based on my learnings. The course has focused my mind on best practices, task management and prioritising my workload. I have found that my confidence has increased as I have completed my level three studies which has allowed me to speak up more and put my opinions forwards, which is something I wouldn’t have felt comfortable doing in the past. 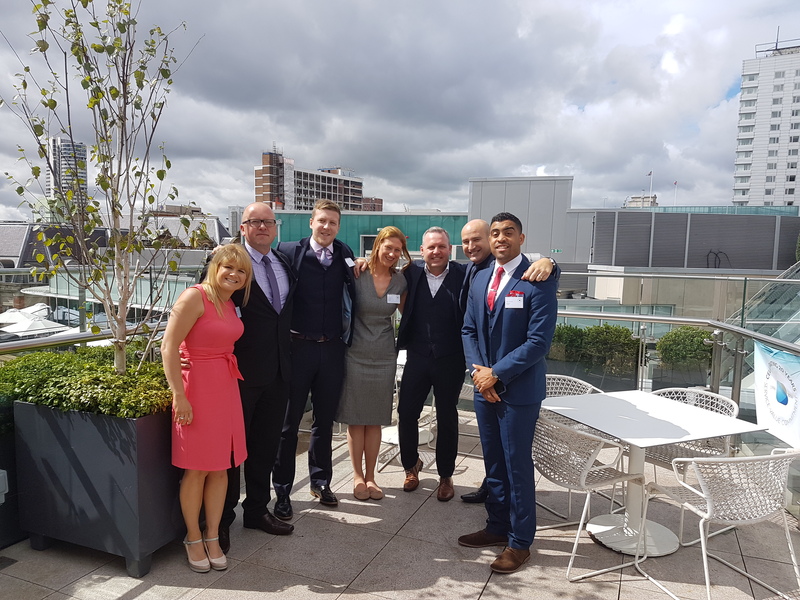 One task that particularly helped with my confidence was presenting to my colleagues and delegates; I was asked to deliver a presentation around the modules I was studying and the changes I have and would like to make to certain processes at Bluestone Leasing. As the topic was something I was comfortable and confident talking about it took the initial nerves away and allowed me to focus on my delivery rather than the content of my presentation. Standing up and presenting in front of people was a big hurdle for me to overcome and since completing the task this is something I would be comfortable doing again, both in one on one situations and in larger groups. 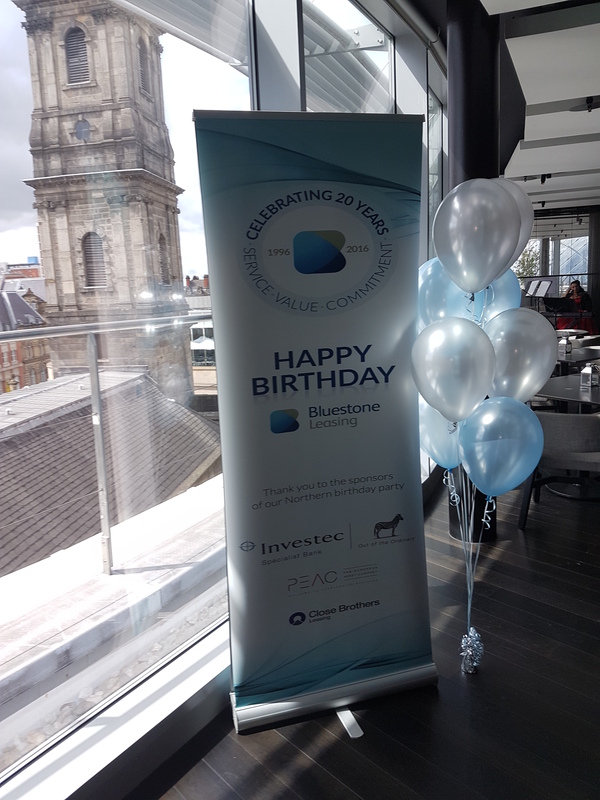 On Thursday August 4th Bluestone Leasing held the first of their two summer parties, celebrating 20 years in business with our northern based customers, partners and banks. 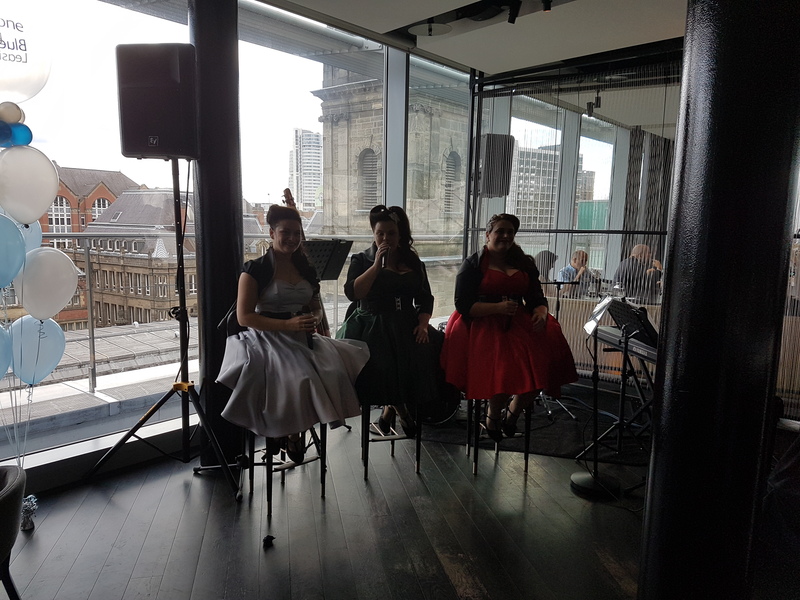 The party was held in the fantastic venue of Crafthouse bar, based in Trinity Leeds, and the stunning views across the city made for the ideal backdrop for our celebration. 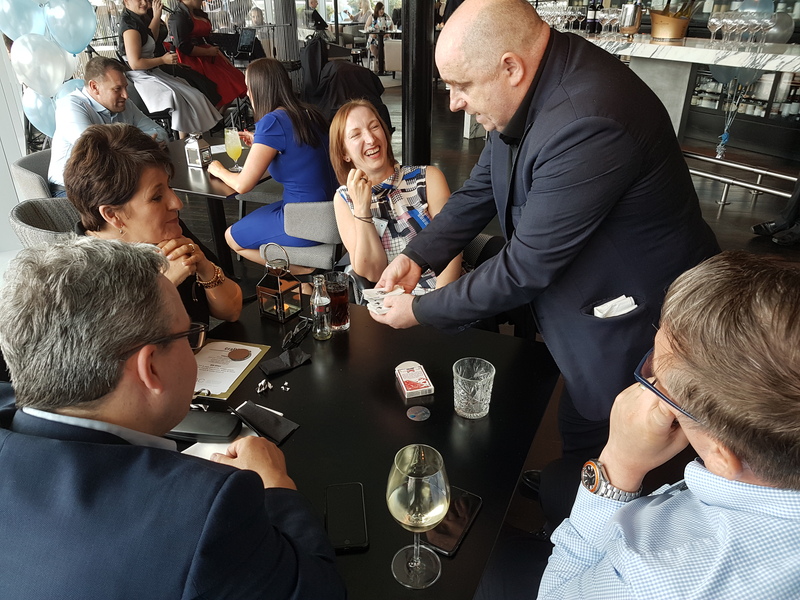 The guests were entertained with beautiful cocktail jazz music by The Vernon Sisters and magician Andy kept everybody guessing with his quick card tricks. There was also a cocktail station with in-house mixologist Tom showing the guests how to mix the perfect gin and vodka cocktails. 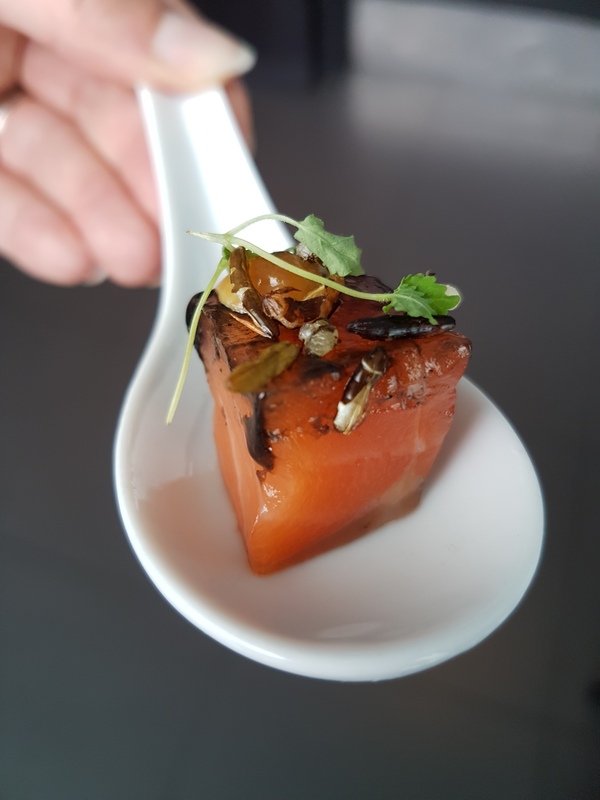 The food came in the form of stunning canapés and mini dishes provided by the chefs at Crafthouse, the mini fish and chips was a particularly nice touch to give the food a Yorkshire feel. A huge thank you to all the guests that joined us on the day and a special thank you to Investec, PEAC, Close Brothers and Aldermore for sponsoring the party. If you missed out on this party and would like details of our second party later this summer please get in touch with Stef on info@bluestoneleasing.com. 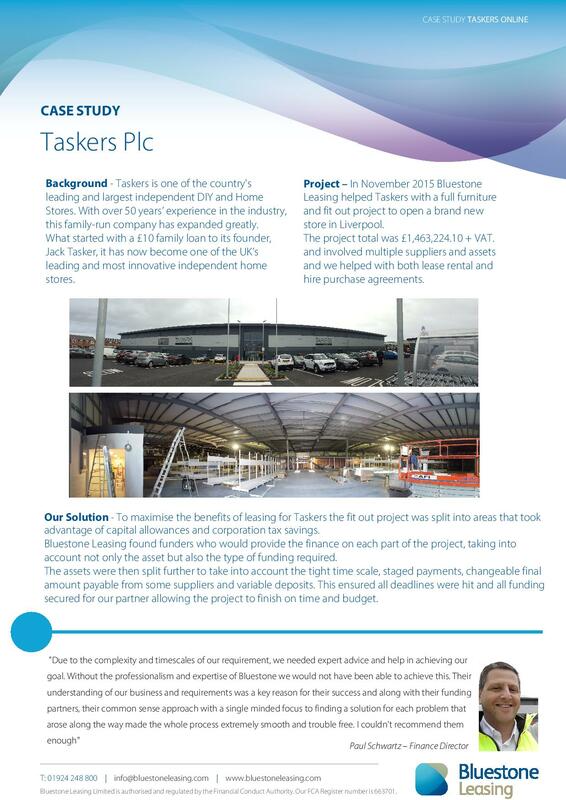 At the end of 2015 Bluestone Leasing were approached by Taskers Plc in regards to a furniture and fit out project they were planning for a brand new store in Liverpool. 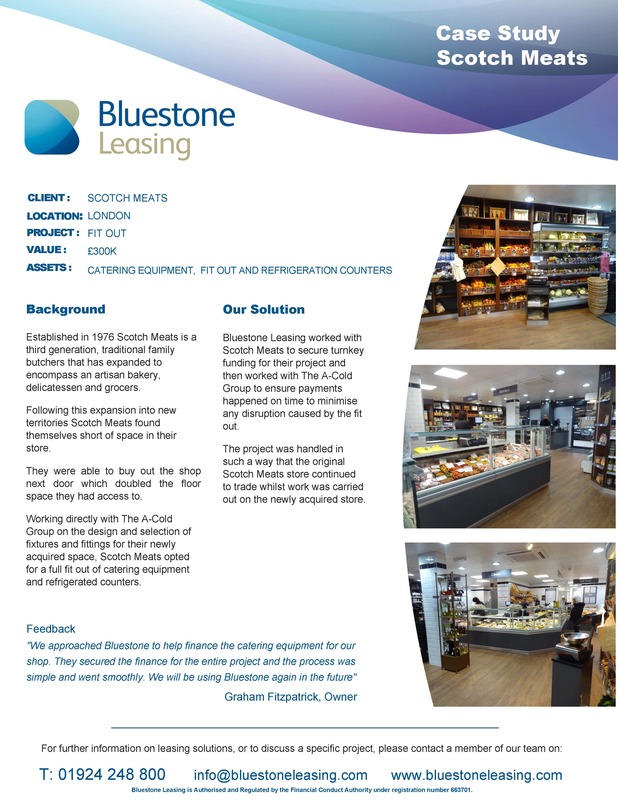 Bluestone Leasing recently worked with independent fine foods store Scotch Meats, and catering and furniture fit out company The A-Cold Group, on the expansion of their butchers and artisan bakery in London. Do you struggle with the burden of paying your VAT and corporation tax bill? In the last two years alone businesses in the UK have paid over £43 billion to the government in VAT and corporation tax payments. Receiving a large VAT bill at the end of each quarter or corporation tax bill at the end each year can put a huge strain on your company cash flow, especially if you are paying tax on work that is invoiced but yet to be paid. Using a VAT and Corporation Tax loan allows you to spread the cost of these bills over a period to suit you and helps you with budgeting for the full year. Get in touch today to discuss, with your dedicated account manager, how Bluestone Leasing can help ease the burden of tax bills and allow you to retain capital. 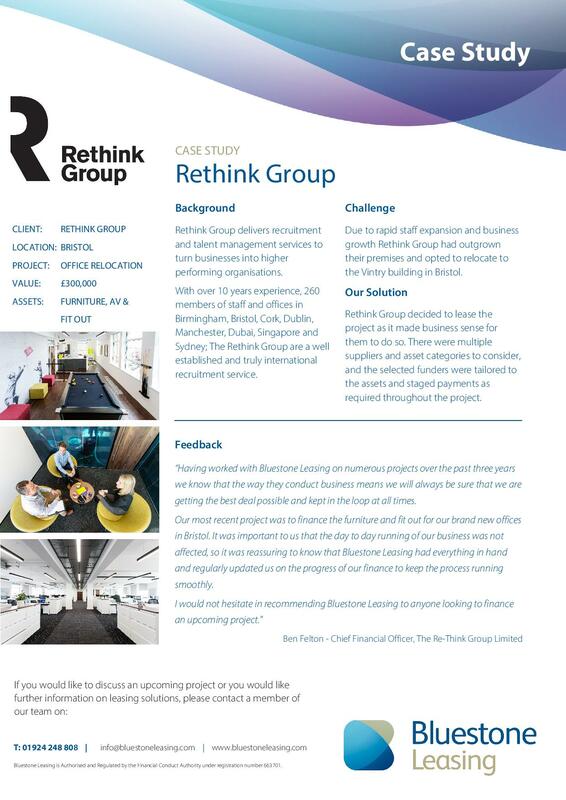 Bluestone Leasing recently worked with Rethink Group Limited on their project to relocate offices in Bristol.